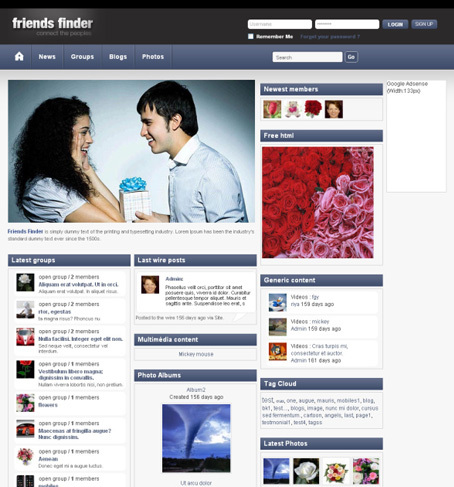 Friend Finder Plus is an improved version of the popular FriendFinder Elgg Theme. This improved version of the plugin helps to customize and configure the look and feel of your site from the admin console. This theme plugin is tested against Elgg1.7.6 - Elgg1.7.13. Supports Elgg 1.7.6,Elgg 1.7.7,Elgg 1.7.8,Elgg 1.7.9,Elgg 1.7.10,Elgg 1.7.11,Elgg 1.7.12,Elgg 1.7.13.